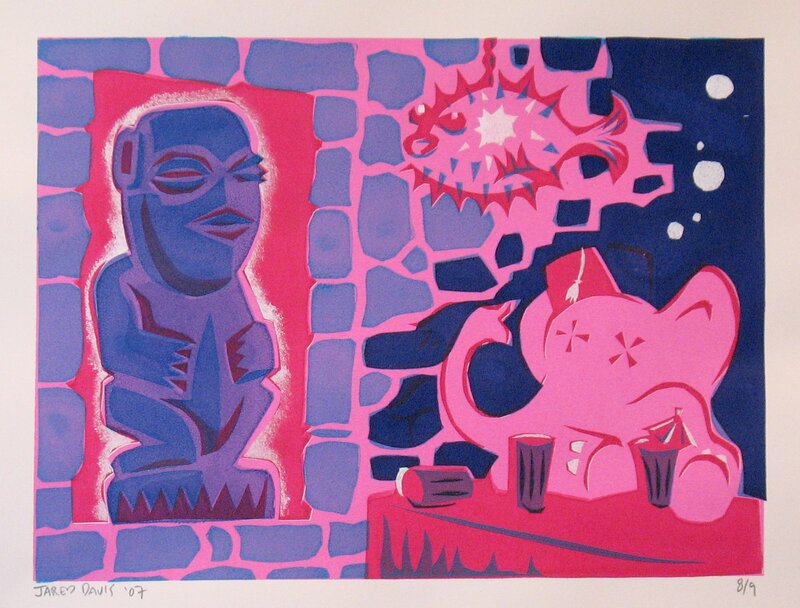 First, a stencil print I did for Hukilau 2007. 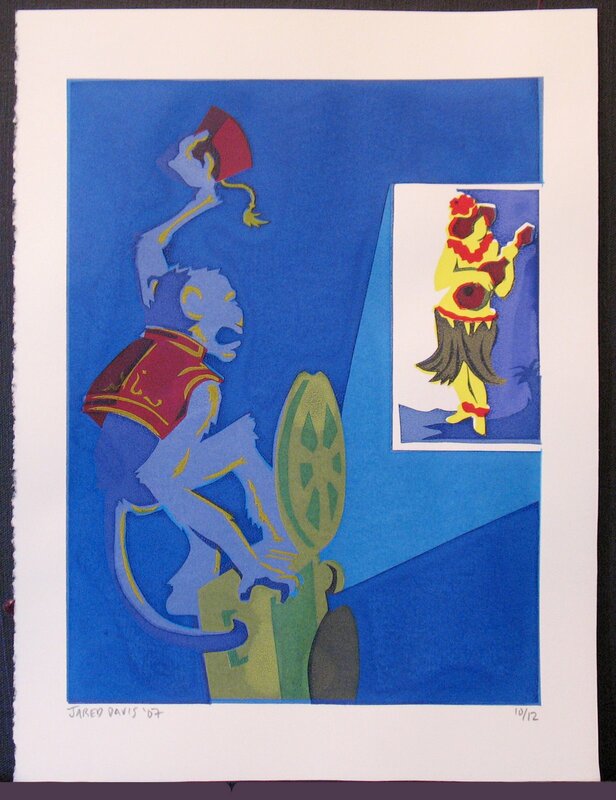 Its a print version of "the projectionist" (still about 6 left in the Edition) The other big stencil print from Hukilau, "Seeing Things". The first one in this edition is in the collection of Suburban Hipster... 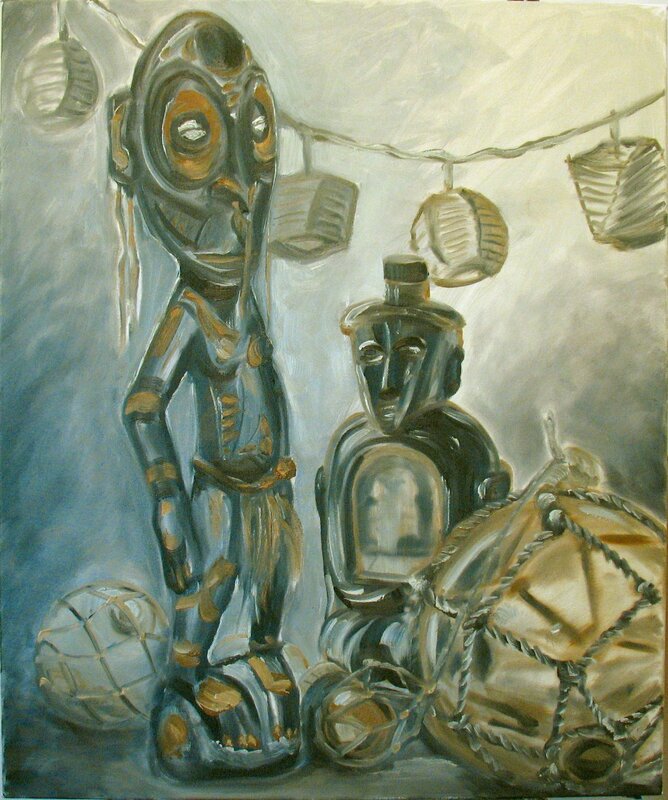 This is a foray into the world of oil paint. I set up an easel on my porch and painted "al fresco"...its really just a start, but I haven't the heart to set this up indoors now that the weather has turned cold. 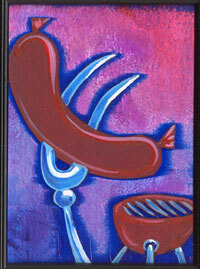 This is the freshest of the artwork shown here. 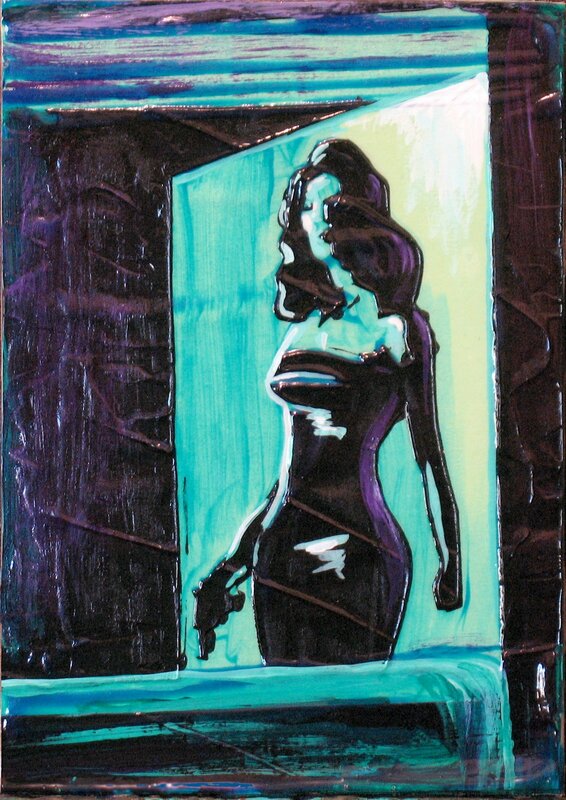 It called "a woman scorned", its 5"x7". It represents a new technique I am working on that gives me a hard edge as well as thick paint...hopefully it will lead to some exciting new directions for my work. Lastly, I want to share with you the design for "A Very Merry Unauthorized Children's Scientology Pageant", fresh off of the drafting table today. I'll get to work soon on it, so you'll get production photos of the show before the year is out! Whilst still cleaning up from the Halloween party (its still not 100% finished) I have stumbled into three new projects. 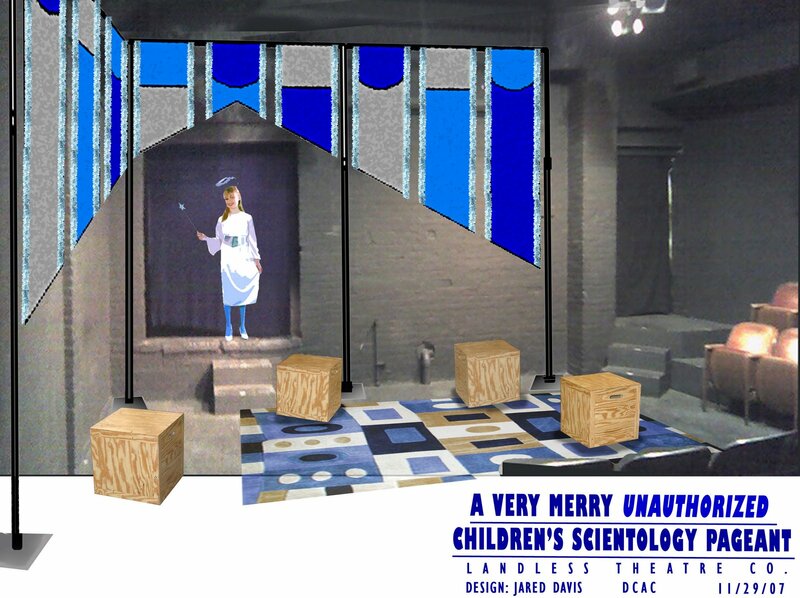 First I got a call from Landless Theater asking if I wanted to design the set for "A Very Merry Unauthorized Scientology Pageant"...of course I said yes. I have a production meeting on Sunday...sketches forthcoming. The Second project was Hexagon. Malcolm had asked me to help out, and I explained that I was taking a year off. However, he somehow roped me into being the "Set Design Consultant"...which means that I designed a set for them, and they can take it or leave it. And lastly Yuri's Night made a quantum leap forward yesterday, with the first meeting of the minds about the shape and scope of the party this year at the Goddard Space Fight Visitors Center...Much more about this next time! Detail of the "corner" of the drop...More photos of the last lobsterboy show will be forthcoming, I don't have any of the actual show, since I was busy tending to THE OCHO on the same night. So hopefully people who took photos will post them to fickr soon! Screenprint on black paper, with white, red, gold and glow-in-the-dark ink. View from upper back porch looking down onto Aztec temple, and Chupacabra beanbag toss.